1) FAA AC 43.13-1B Section 4 calls for 1.5x thickness for reinforcement/repairs for cracks (see Figures 4-21&22, for example). Assume would use similar for antenna doublers? In this case, V-1006 is .025", so .040" should be adequate? Or should I go to .063? 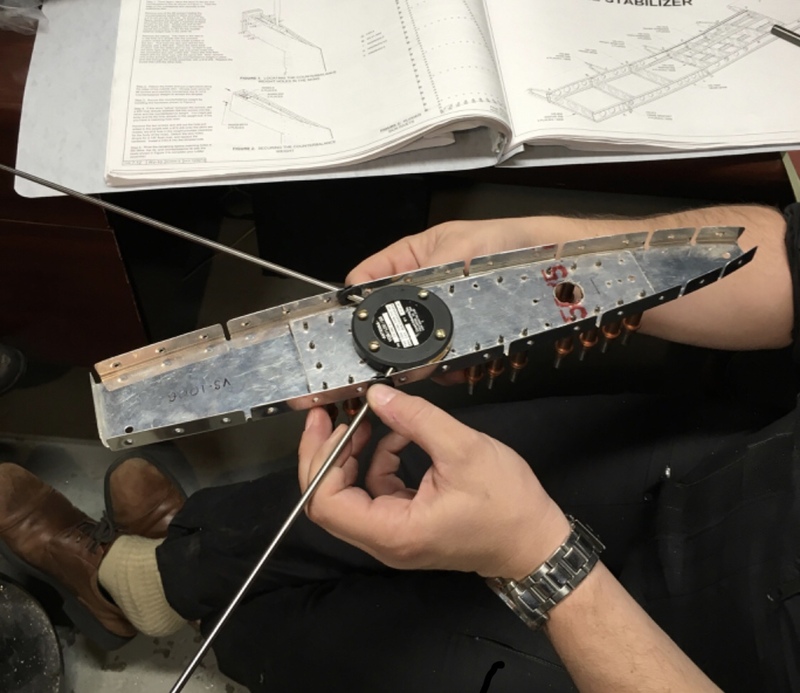 Want adequate structural support, but minimal weight or impact to potential flutter characteristics. a) Doubler & antenna sandwich VS-1006 (per 2B(309)(b)(4) above). b) Doubler and antenna atop VS-1006. 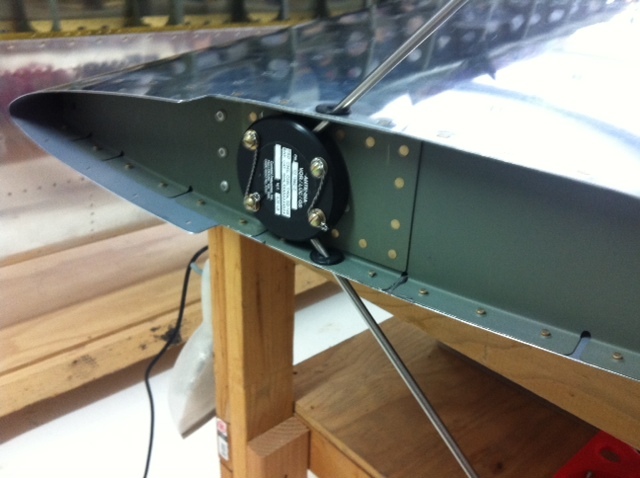 c) Doubler and antenna atop VS-1006 with doubler tied into front spar. For this application, have not seen anyone bend up and tie into flanges as shown in Figure 4-21. Have seen it only on fuse & wing skin antenna doublers. 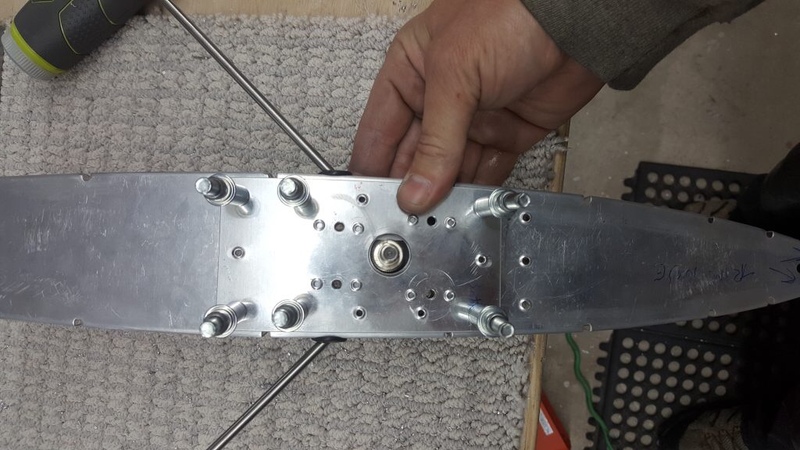 Your first picture is the way to go, to provide adequate clearance for the puck and screw heads (if not flush) to clear the rudder counterweight. My opinion is not structurally tested or analyzed but I don't think you will see any flex there. I like the drilled head screws in the second picture. I don't expect a screw to work loose from the nut-plates but if they did they could interfere with the rudder. As for the thickness, I think .040 should do. Once you get the VS built you will see that it's pretty rock solid as it is; there's not a lot of moment arm on any of the parts for flexing and the skin is thicker than, say, the rudder skins just for that purpose. Again, this is without any formal testing or analysis but is what I am doing on my project based on experience with similar structures in my RV-6A. In other words, I have .615-.44 = .175” space for doubler (if use option 2 or 3), screw heads, washers, etc. What are the head thicknesses on the drilled head AN3 bolts? Last edited by bkmerrill : 10-09-2018 at 09:56 AM. Anyone else have thoughts on antenna doubler thickness and/or configuration?